Back in September, podcast novelist JC Hutchins tweeted about a friend’s new gaming blog. A little over a week ago, he did it again. And I’m glad he did — since January 2008, Rachael Webster has posted some rather insightful and snark-filled articles critiquing recent game releases under the moniker “PixelVixen707”. 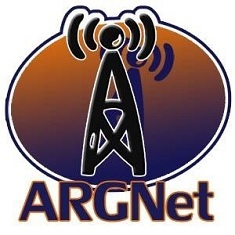 The blog has attracted some attention, and Pixelvixen707 even had the impeccably good taste to list ARGNet on her blogroll. Only one problem: Rachael Webster isn’t actually real. Although the blog’s archives go back to January 2008, the domain was only registered in June. Compounding the problem, her employers at the New York Journal Ledger have a tendency to report news that hasn’t actually happened. Some of that news involves her boyfriend Zach Taylor, a rather popular art therapist at Brinkvale Psychiatric Hospital. With the recent addition of personal posts to the PixelVixen707 blog, a simple gaming blog slowly yet subtly drags you into the rabbithole, as GameSetWatch noted earlier today. For a bit of irony, check out Rachael’s article on Matt Hazard, an action gaming franchise that never existed, as described by Ralph Tokey, a game developer that never existed. These assets set the stage for JC Hutchins’ upcoming supernatural thriller, Personal Effects: Dark Art. The story revolves around Zach Taylor, an art therapist who uses his patients’ personal effects to help decipher their mental problems. However, according to JC Hutchins, “Zach gets far more than he bargained for when a new patient is admitted to the facility: a man who is a suspected serial killer.” The thriller will showcase a spooky storyline featuring a young optimistic hero, in addition to a relentlessly cruel villain with a secret. JC Hutchins became famous for his 7th Son podiobook trilogy as well as his innovative grassroots marketing efforts. Numerous celebrities including Nathan Fillion, Richard Hatch, and Cory Doctorow lent their voices to the podcast’s “Story So Far” introductions. With a core group of active fans evangelizing for the podcast and generating user-creative content through his own personal street team (the Ministry of Propaganda), Hutchins is bringing a dedicated crew of fans eagerly chomping at the bit for his next release. Hutchins noted that he has some special promotional stuff cooked up for the hundreds of MOP “agents” running out in the wild. Click Here to check out Pixelvixen707’s blog. Click Here to listen to the 7th Son trilogy. Click Here for JC Hutchins’ website. Watch our site tomorrow for an interesting interview with JC Hutchins. In other news, this looks interesting.